The Duunitehdas recruiting event, which brings together jobs and job seekers, was held for the fifth time on Tuesday, 5 February 2019. A total of 75 exhibitors, 53 employers, 11 educational institutions and thousands of visitors attended the event. Some 5,000 jobs were available for all ages at the Duunitehdas event. There were job opportunities for both high-end professionals and fresh school leavers, ranging from longer term employment relationships to seasonal holiday work of a few weeks’ duration. In addition to jobs, Duunitehdas provided information on CVs and job interviews. The youth information and counselling point, Ohjaamo, advised young people on finding summer jobs. At Backstage, there was an opportunity for informal networking, where over 200 people were able to get to know each other socially. 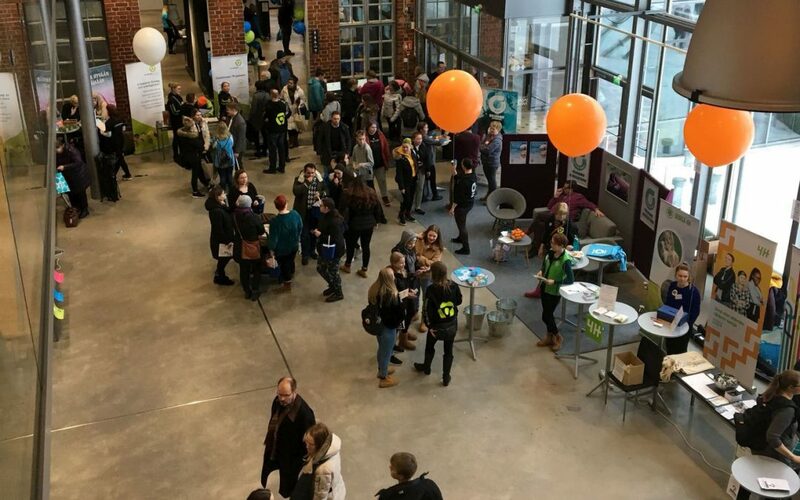 Haaga-Helia students helped employers and applicants find each other. The students were familiar with the jobs and exhibitors and acted as a link between them and the applicants. Students of Careeria took care of refreshments in the cafe area, the feedback surveys, and the cloakroom services. The event was hosted by Aki Hirvonen from the Liikuta lasta organisation. 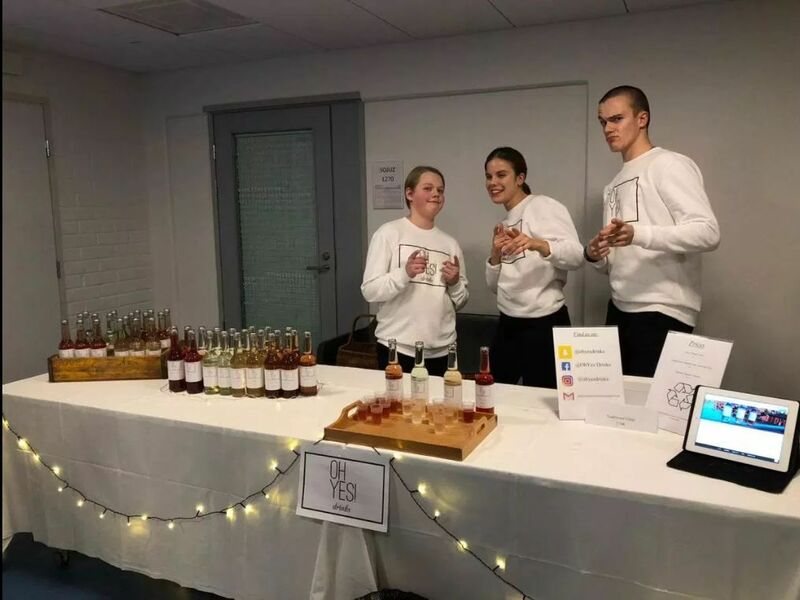 In the foyer of Art Factory, the 15-16-year old Christian Örså, Vera Örså and Jonatan Holmström were giving out samples of their home-made lemonade, the OhYesDrinks, which contains no additives or colouring and is sweetened with fructose. It was born as a result of their Young Entrepreneurship studies at Lyceiparkens School, which all three attend. The trio dream about continuing entrepreneurship even after elementary school, and will sell their lemonade at least throughout the summer until the beginning of the new term at upper secondary school. They dream of winning The Young Entrepreneurship competition, which could help their lemonade reach the shelves of local shops. You can visit the company at ohyesdrinks.wordpress.com. Young OhYesDrinks entrepreneurs Jonatan Holmström, Vera Örså andChristian Örså. The Duunitehdas event is organised as the joint efforts of Posintra, the Uusimaa Employment and Economic Development Centre and the City of Porvoo, but thanks for the success of the event go to all partners and participants. Once again, the event exceeded our expectations!